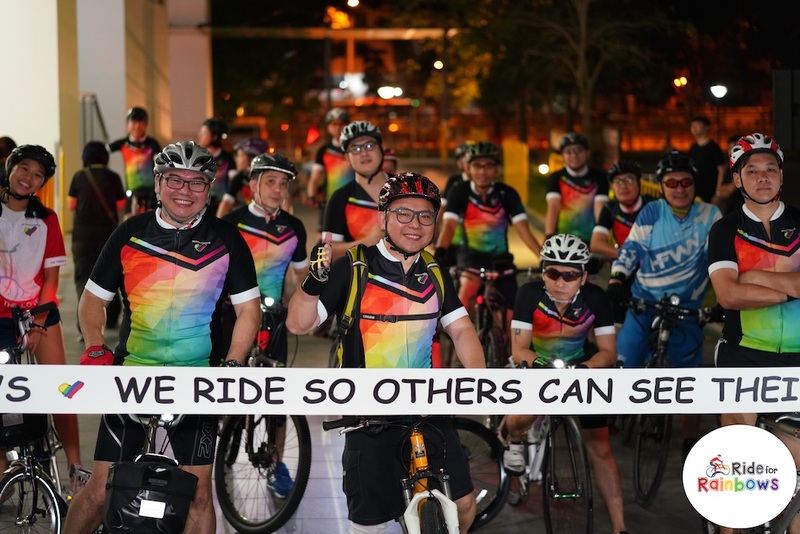 A flagship fundraising initiative by Club Rainbow Singapore, the eighth edition of Ride for Rainbows will kick off on 27 April, Saturday at 7pm (Venue to be confirmed). This year, the event aims to create more awareness by reintroducing a shorter cycling category and raise more funds for the non-profit charity organisation. Empowering its beneficiaries who have chronic illnesses through providing a wide range of services that meet their needs from new-born to the age of 20, Club Rainbow first unveiled Ride for Rainbows in 2012 as a signature fund-raising event to reach out to a greater audience through sports activities. 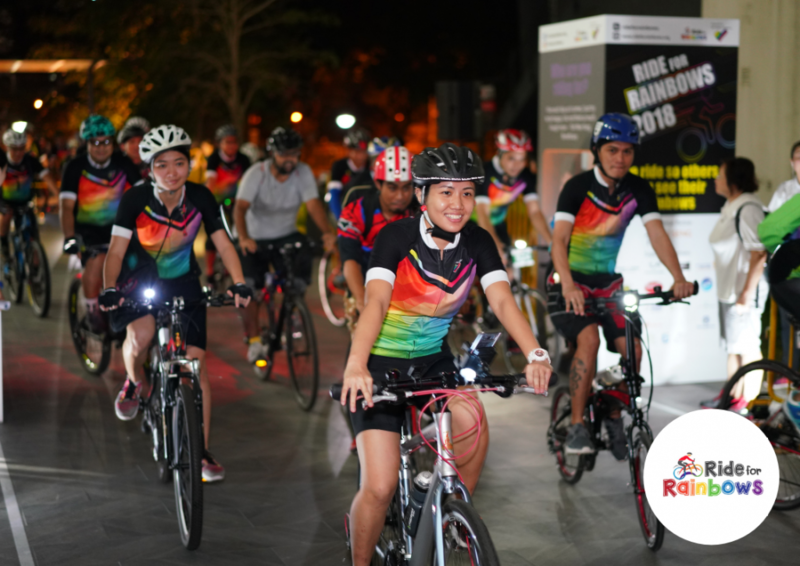 Besides generating greater awareness for the club’s cause, Ride for Rainbows also presents non-competitive yet challenging cycling routes that range between 28km to 108km; to exemplify the struggles beneficiaries experience in their lives. 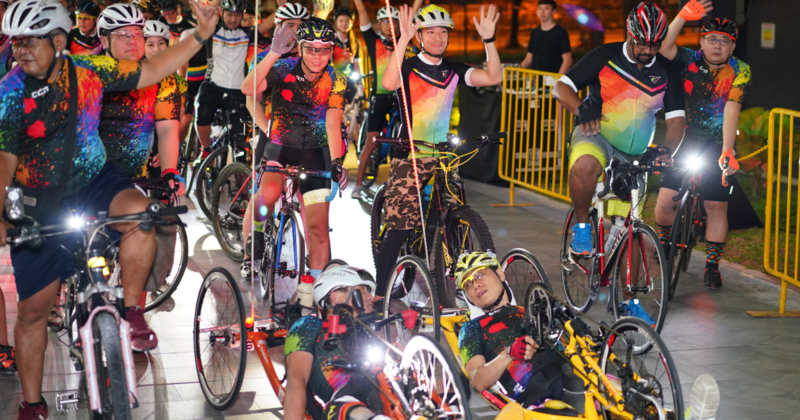 More importantly, the rides are a test of tenacity and resilience; two qualities that Club Rainbow hopes to instil in their beneficiaries as they embark onward in their journey towards an enriching life. Individual participants can choose from three categories; 28km, 58km and 108km. To qualify for participation, riders must raise the minimum donation amounts for each category: $128, $588 and $1,088 for the 28km, 58km and 108km respectively. Dr. Sashikumar Ganapathy, President of Club Rainbow (Singapore), who will be cycling at Ride for Rainbows shares that they aim to raise $700,000 from the event. He added that “the donations will enable us to serve more families and continue to offer quality services to improve their quality of life”. 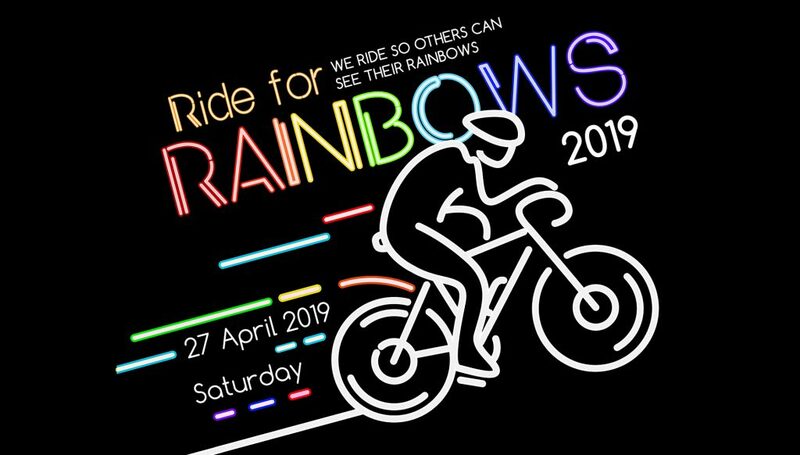 who will be riding the 58km route alongside other graduate beneficiaries says, “My family and I have benefitted greatly from Club Rainbow’s support. Now I wish to do my part to help other children and their families”. Set up in 1992, Club Rainbow (Singapore) is a non-profit organisation with a mission to provide compassionate relevant services to the families of children with chronic illnesses. Children in Club Rainbow range from new-borns to youths up to the age of 20. Many of them require frequent hospital visits for treatment, complicated therapy and long-term medication. Club Rainbow works closely with KK Women’s & Children’s Hospital (KKH), the National University Hospital (NUH) and the neonatal unit of Singapore General Hospital. On the recommendation of doctors, the children are referred to Club Rainbow for critical follow-up support. Club Rainbow (Singapore) is an independent charity that relies largely on corporate and public donations to support our mission and sustain our work and daily operations. With the vision to be the charity of choice that inspires hope and makes a difference in the lives of children with chronic illnesses and their families, Club Rainbow (Singapore) adopts a holistic approach to help our beneficiaries in 5 core aspects: emotional support, financial support, educational assistance, social Integration and informational resources.